...invite him in for dinner! Meet Ed Pratt. 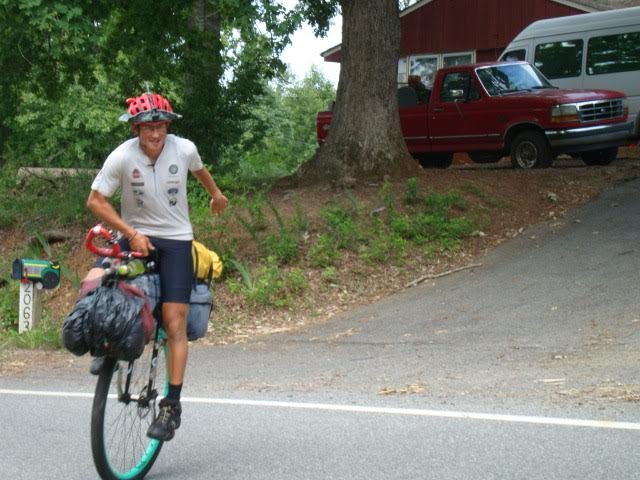 As of TODAY, July 27th, Ed is the FIRST person to circumnavigate the GLOBE on a UNICYCLE! 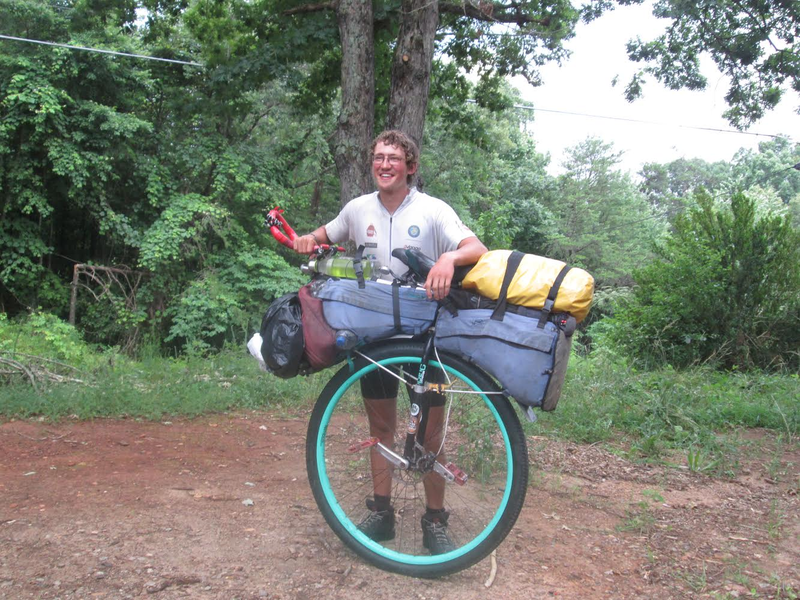 After starting out over THREE years ago, he has finally made it from England, hitting several European countries, China, Australia, New Zealand and the States. 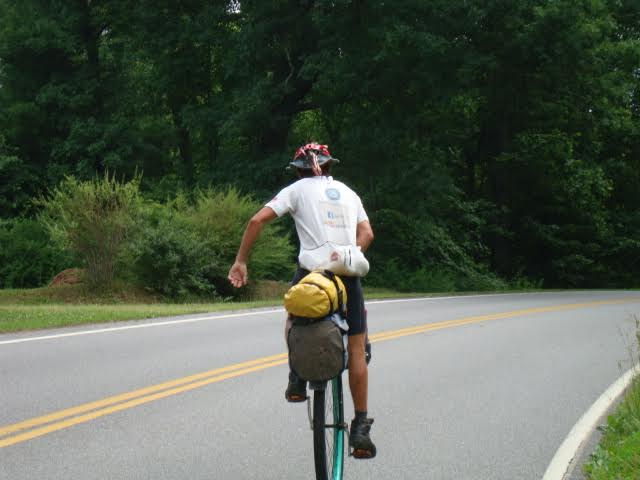 We were thrilled when we saw him cycle past our home in Virginia just a hair south of the Blue Ridge Parkway. We invited him in, shared a meal and eagerly listened to highlights from his worldwide adventure. What an awesome and inspiring accomplishment! the World Unicycle Tour website.